Medium: Lithographic poster printed in colours, 2014, signed in silver ink, on 250 gsm silk finish paper, the full sheet printed to the edges. 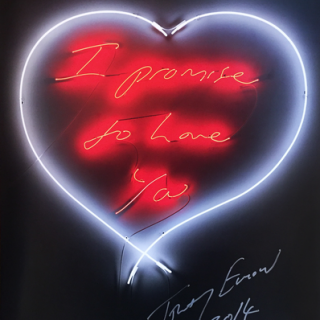 Provenance: Emin International – Direct from the artist. Purchased in tube of issue with publishers details attached. lithographic poster printed in colours, 2014, signed in silver ink, on 250 gsm silk finish paper, the full sheet printed to the edges.